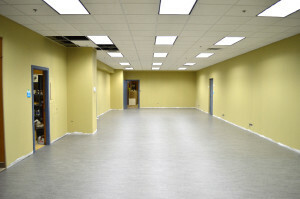 Commercial Renovation – You want to hire the best team in Toronto! When having commercial renovation services rendered, it is very important to hire the right company to do the renovation work. As a commercial property owner, you want to know the foundation is solid, that the crew is fully certified to do the work, and that the job is going to be done properly, no matter what kind of renovation work is being done. Since each commercial space is different, all renovation work is going to differ; but, no matter what you need the contractors to do, you have to hire a company that is qualified to handle a big commercial job. It is very important to hire a commercial renovation Toronto company that can handle any sized job, and has the manpower and equipment to take on any renovation task. As a business owner, you do not want to trust a big renovation to just anyone; therefore, before you hire a company, you have to be sure they are going to have the workers, the funds, the equipment, and all the necessary resources, to finish the job. You don’t want to get halfway through a job, just for work to cease; so, you must do the research, and find a company that can complete any job you need done. It is also important to find a company that is proud of the work they do, and guarantees all the renovations that they complete. You can find this out by using customer reviews, business reviews (such as BBB), and looking over former projects the commercial renovation company has done in Toronto. You want the renovation to give your commercial property an entirely unique look and feel; when you hire the best crew, you will get just that, and they are going to exceed the expectations you had as a client. No matter what size the commercial space is, or how detailed the renovation is, when you hire the right crew, you are going to be happy with the end results. Although you don’t want to give a specific time frame, since you don’t want to rush the work, you do have to find a company that can at least give you a range of time to complete the job. Additionally, you want to find the most affordable contractors when doing renovation work, without having to compromise on finishes, the quality, or the end result, when having renovation work done. As a business owner, you want a seamless, easy, and stress free renovation; when you hire the right commercial team, this is just what you will receive. Of course you want quality finishes, elegant design, and exceptional features, but you also have to make sure you are hiring a qualified crew (licensed), a company that guarantees their work, is highly rated, and promises nothing short of exceptional service. Therefore, before you hire the commercial renovation Toronto company for your renovation project, these are some things to consider and to keep in mind.